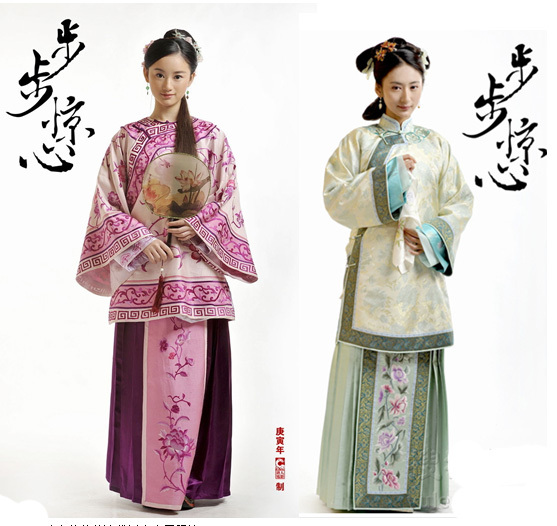 Fashion Timeline of Chinese Women Clothing(2) – Hello China! When China fell under Manchurian rule, Chinese men were forced to adopt Manchurian customs. As a sign of submission, the new government made a decree that men must shave their head and wear the Manchurian queue or lose their heads. Many choose the latter. The Manchurians attempted several times to eradicate the practice of foot-binding, but were largely unsuccessful. Manchurian women admired the gait of bound women but were effectively banned from practicing food-binding. Hence, a “flower pot shoe” later came into creation and it allowed its wearer the same unsteady gait but without any need for foot-binding.